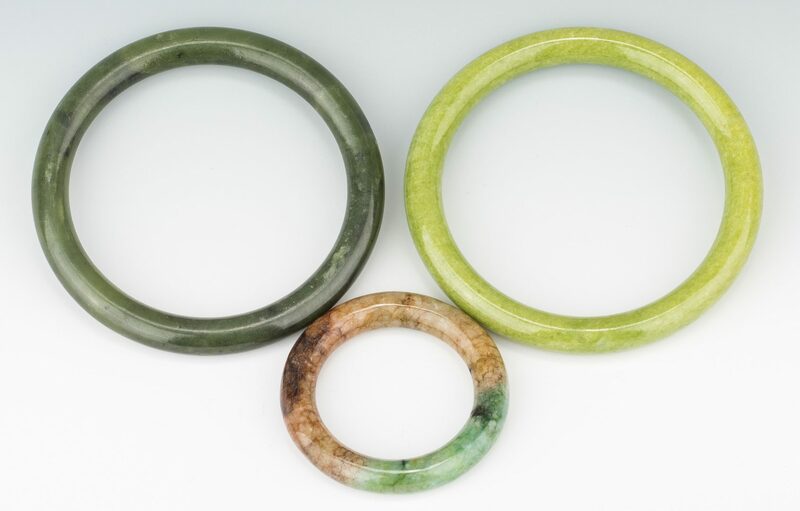 Five (5) Chinese carved jade bangles, two (2) pale celadon with inclusions, one (1) mottled spinach green and brown, one (1) warm spinach green and one (1) small infant size celadon and russet example. Interior diameters – 1 1/4", 2 1/4", 2 3/8", and 2 1/2". All 20th century. 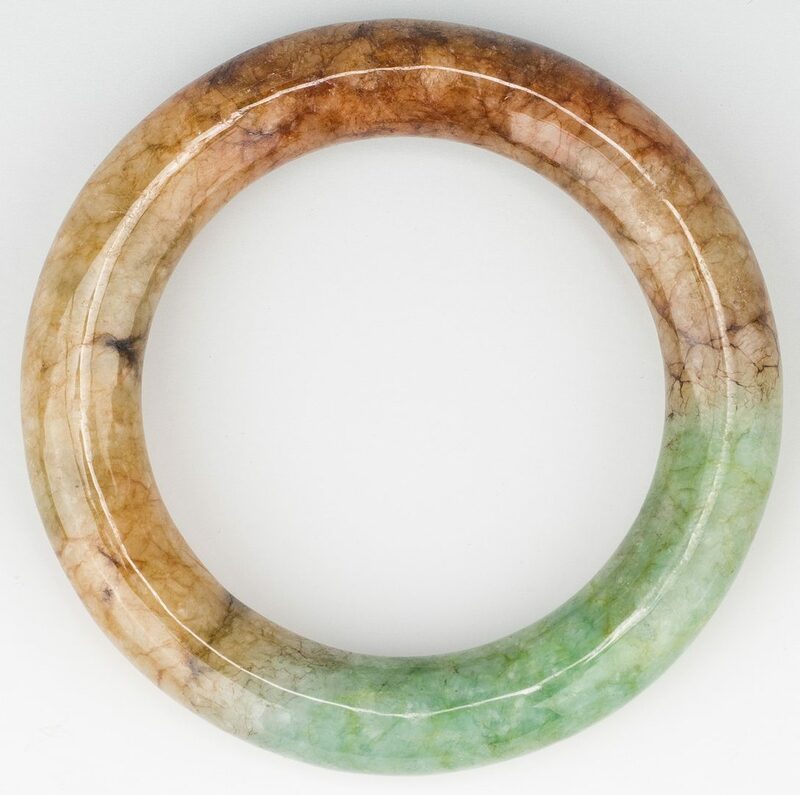 CONDITION: Hairline to medium bangle with russet inclusions. 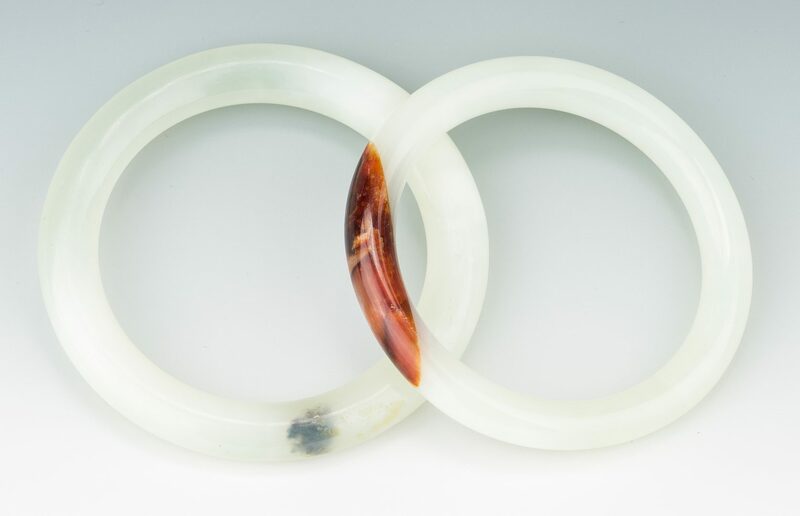 Remaining bangles very good condition.